Why Choose the Environmental Sciences & Technology Program? With the constant population growth and development of new technologies, environmental impact is a vital focus. Students in CPTC's Environmental Sciences & Technology program train for a wide range of career opportunities in the field of environmental science. Some of the training opportunities include hands-on water-quality monitoring; soil, water, and air sampling; mineral identification; wetland delineation and restoration; geographic information system mapping; and simulated hazardous waste site cleanup operations. This program takes advantage of CPTC's 110-acre outdoor learning laboratory at Flett Creek, across the street from our Lakewood Campus. If you love the outdoors and have a passion for nature, this program and career path might be your perfect fit. Our Environmental Sciences & Technology program will prepare you for a wide range of career options, including working in forestry and fish hatcheries or as a natural-resource technician. Interpret and apply environmental regulations to specific industries. Assess ecosystem health and design a restoration plan. Conduct themselves in a manner appropriate to the environmental profession. Assess hazardous and potentially hazardous sites and remediate if necessary. Utilize personal protective equipment in a variety of occupational settings. Collect, analyze and evaluate environmental samples to industry standards. Demonstrate an understanding of human impact on the environment. Kathryn Smith arrived at CPTC in 2004 after working at the Hanford Site for more than 11 years. She earned her bachelor’s degree from Washington State University and completed her Master of Environmental Studies at The Evergreen State College. Kathryn is particularly interested in remediating our urban environmental footprint. Derek Faust arrived at CPTC in 2018. He earned a B.S. in environmental science with a minor in chemistry at Elizabethtown College in 2010. He continued his education at Texas Tech University, earning a M.S. in environmental toxicology in 2012 with research focused on effects of pollutants in wetlands and green sea turtles. He earned a Ph.D. in forest resources at Mississippi State University in 2016 with research focusing on reducing nutrient runoff in agricultural landscapes. Following completion of his Ph.D., Derek was a postdoctoral research biologist with the U.S. Department of Agriculture-Agriculture Research Service's Northern Great Plains Research Laboratory in Mandan, North Dakota. His research focused on water quality, greenhouse gas emissions, and soil health in integrated crop-livestock systems. Derek is paricularly interested in aquatic ecology, wetlands, greenhouse gases, and agricultural landscapes. Environmental Sciences & Technology Program Information Sessions are hosted in Building 16, Room 102, at 3 p.m. on the second and fourth Wednesdays of the month. For more information and a complete schedule of session dates, click here. 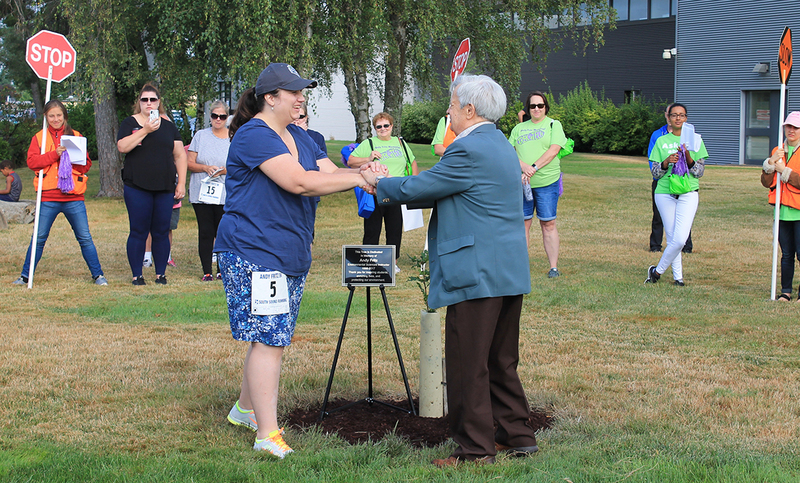 CPTC memorialized a long-time faculty member and began a new fitness and fundraising tradition Saturday, July 28, with the Andy Fritz Memorial Trek for Tech 5k. More than 230 racers registered to participate in the 5k. 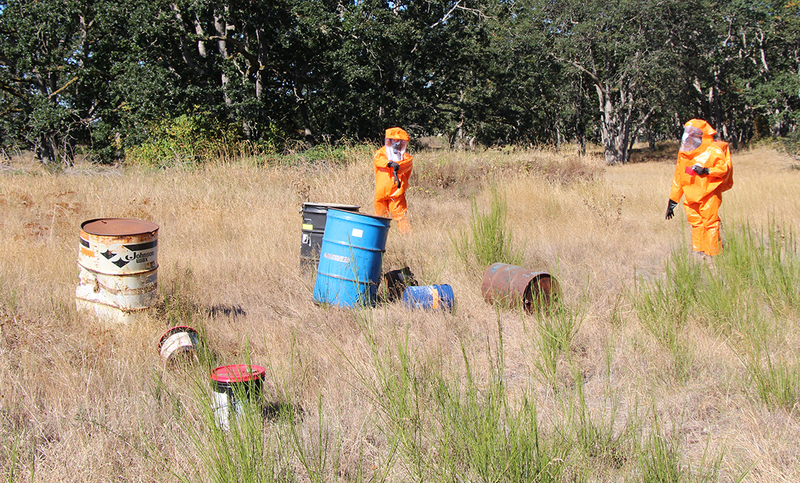 The evaluation team examines the "hazardous waste site" during a simulation as part of Kathy Smith's Environmental Sciences & Technology 131 course Wednesday morning across the street from Clover Park Technical College's Lakewood Campus. 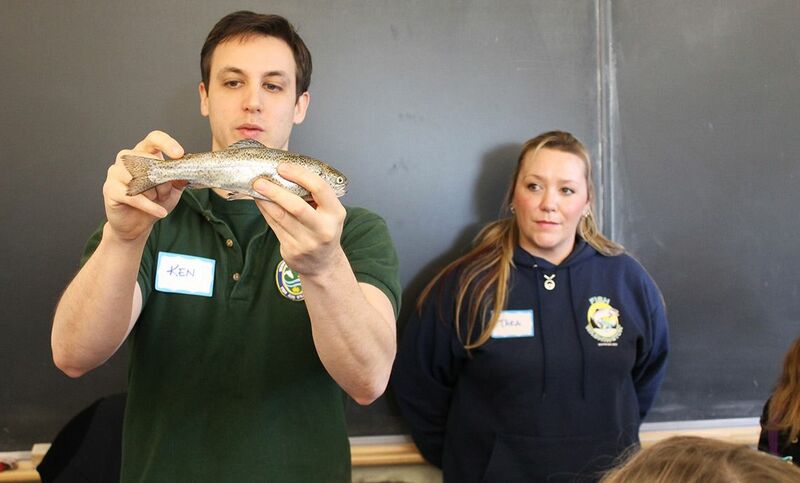 Tara Livingood, right, and Ken Behen, both of the Washington Department of Fish and Wildlife, lead a fish identification lab at the 2016 Tacoma-Pierce County Children's Water Festival March 15.